During last nights game in Hockeytown they paused to pay tribute to Mt. 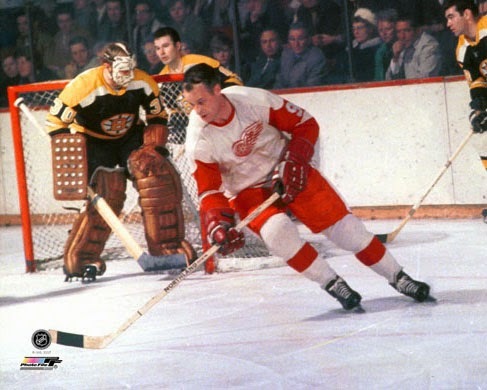 Hockey, Gordie Howe. Number 9 suffered a stroke earlier this week and is fighting on. Buck has the tribute video at his site. Here is Mr. Hockey watching it at his daughters home in Lubbock Texas. Thanks for the link, Rummy, and the pointer you left in comments at my place.